Once bitten, twice shy! Baby teething toys have come along in leaps and bounds in recent years and we’re now completely spoiled for choice when it comes to toys that will bring comfort to teething babes. Keep your fingers safe from emerging pearly whites with an arsenal of teething toys for baby! There’s always a selection of brilliant teether designs available with the talented Little Sapling Toys crew. Star Wars fans, the force is strong in this (wooden) toy. 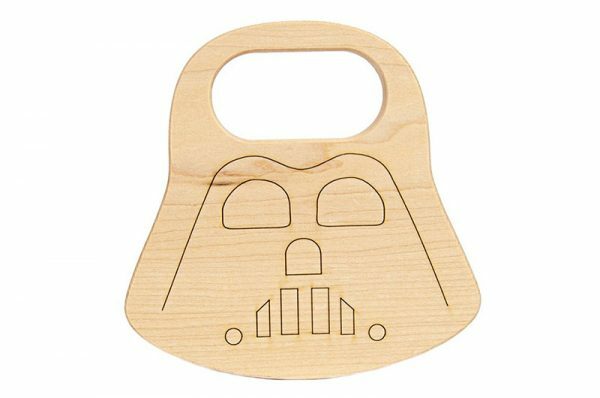 Darth Vader Wood Toy Teether, $17.50. 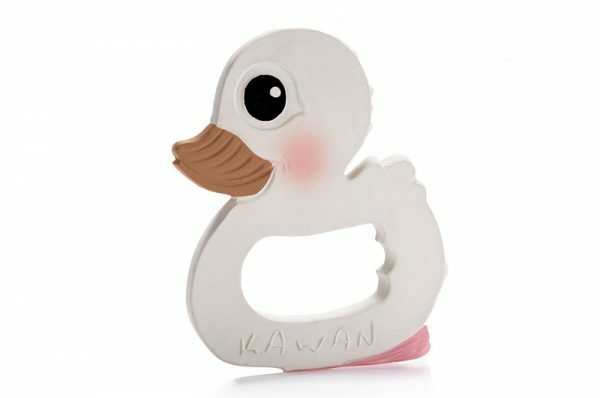 The Hevea Kawan duck teether is soft and hollow, giving him a unique feel. Made from 100 per cent natural rubber, his ring shape is brilliant so baby can keep a good grip on things. Available from Urban Baby, $24.95. Can’t decide between silicone or timber? Why not go for both? Nature Bubz does a sweet beech hardwood and silicone combination, with the Love Teether, $26.95, capturing our own hearts. Playing host to a brilliantly hip collection of teething toys is One Chew Three. 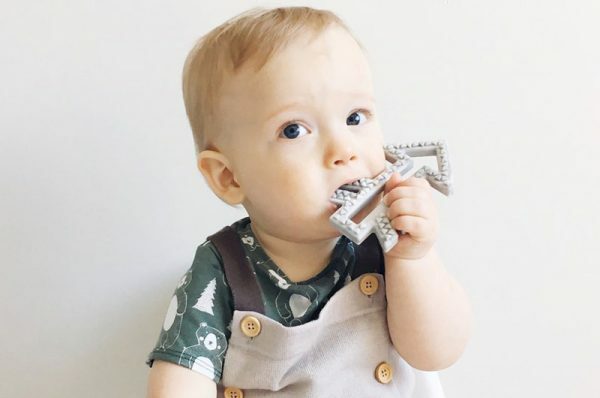 We adore the Arrow Silicone Teether in all of its textured-face glory that’s perfect for chomping down on. Available in several colours and priced $11.95 each, order direct from One Chew Three. Finally, let’s not forget two new kids on the teether block; Gertie and Portia. 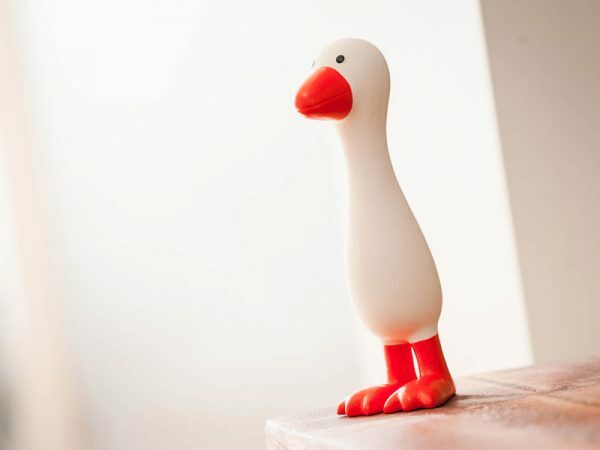 Soft and rubbery, Gertie The Good Goose doesn’t mind being nibbled on one bit. She’s currently available from Little Red Chick, $28.95. 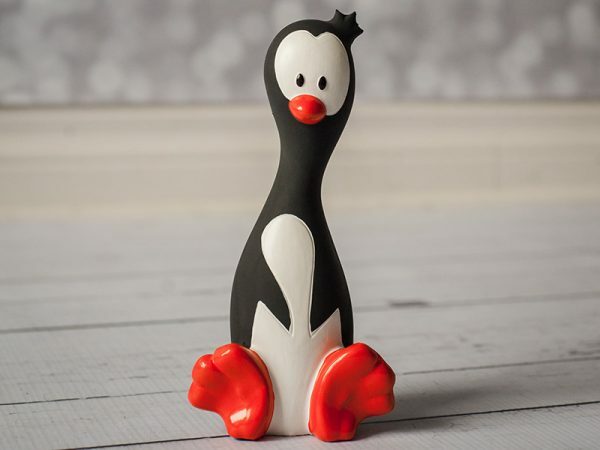 Gertie’s good friend Portia The Polite Penguin (pictured below) is set to hit the same store’s shelves before Christmas, so keep an eye out for her arrival!